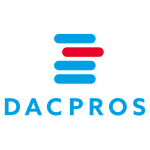 Short business description: Dacpros provides people to handle all physical IT infrastructure related works. We deal with equipment deployment/decommissioning, maintenance and smart hand. Short business description: Innov8 IT offers a range of Data Centre Services including: Interim Operations; Design and Deployment of a Data Centre Practice; Culture Change; Establishing Engagement Models, Demarcation Tables, OLAs and Communications; Requirements Capture and High Level Design; Design and Service review and Site Selection. Also available as part of Data Centre Migration are: IT Audit; Planning; In-flight Governance; Lift and Shift.